christmas | High School Can Feel Like An Alien World. With Christmas upon us, we’ve been pondering the vast scale of Santa’s challenge on Christmas Eve. And we’re convinced there is no humanly way that Santa can deliver all of those presents to everyone on the planet in one night. 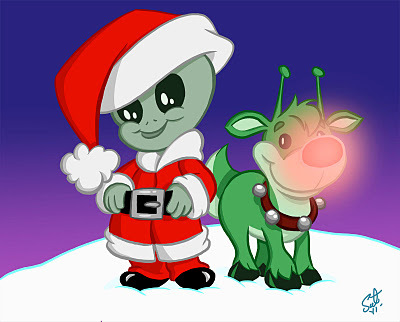 Therefore, the only possible explanation must be that Santa is of extra-terrestrial origin.